With all the attention given to artificial intelligence (AI) that can do impressive stunts like play chess, name paint colors, and write weird sci-fi shorts, it’s easy to forget that some of these systems are actually really useful. Case in point: A new algorithm that can predict a patient’s risk of contracting clostridium difficile (C-diff), a potentially deadly healthcare-related infection. While the primary purpose of a hospital is to help sick people get well, it doesn’t always work out that way. Each year, 453,000 people contract a C-diff infection during or after exposure to a hospital setting in the United States, according to the New England Journal of Medicine. C-diff causes diarrhea, intestinal distress, and in some cases, life-threatening inflammation in a patient’s colon. 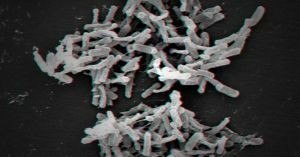 These infections can prove deadly if not diagnosed and treated quickly enough; in the U.S., 29,000 people die annually of C-diff infections. To address this issue, Erica Shenoy, an infectious-disease specialist at Massachusetts General Hospital (MGH), and Jenna Wiens, a computer scientist and assistant professor of engineering at the University of Michigan, decided to see if they could use AI to predict which patients were most vulnerable to these infections. For their study, Shenoy and Wiens extracted information from a dataset of 374,009 adult inpatient admissions from MGH and the University of Michigan Health System. Given that C-diff spreads through physical contact with infected objects or people, the researchers had to take into account every possible interaction between patients and the infection when developing their algorithm. Using that information, the duo created a model to predict the likelihood that a patient would contract a C-diff infection at each hospital. According to their research, these models predicted the infection an average of five days sooner than doctors could. If their system is widely implemented, those five days could be the difference between life or death for hospital patients in the United States and across the globe.